Some of the Small business owners are already been using WhatsApp for communicating with their customers. 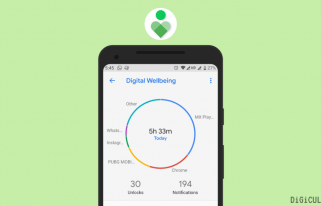 But isn’t very suitable for Business.So WhatsApp had made a custom version of WhatsApp to satisfy their business needs and made WhatsApp Business Application. 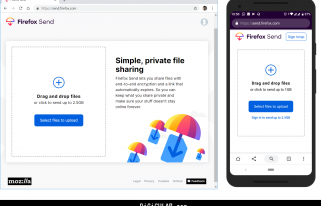 The good thing is that it is free to use for both Small and Medium businesses. They may charge the Enterprise range businesses. 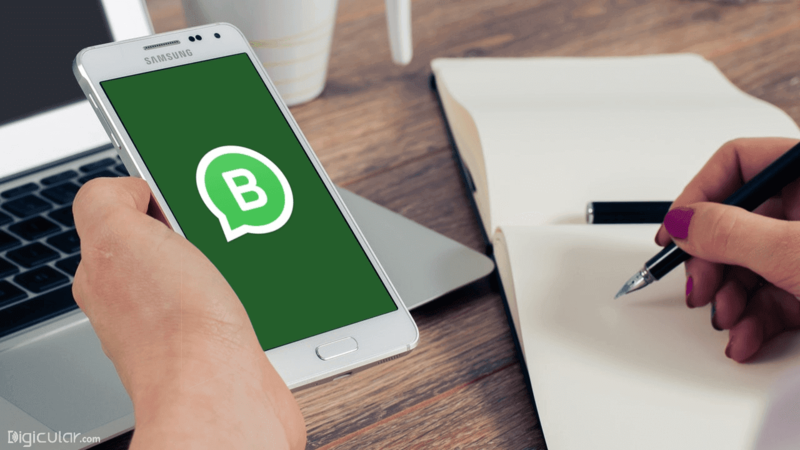 In this post, we will focus on 7 Most important features of WhatsApp for Business and How it is different from regular WhatsApp. A simple About section and phone number might be enough profile for People, but isn’t enough for Business. 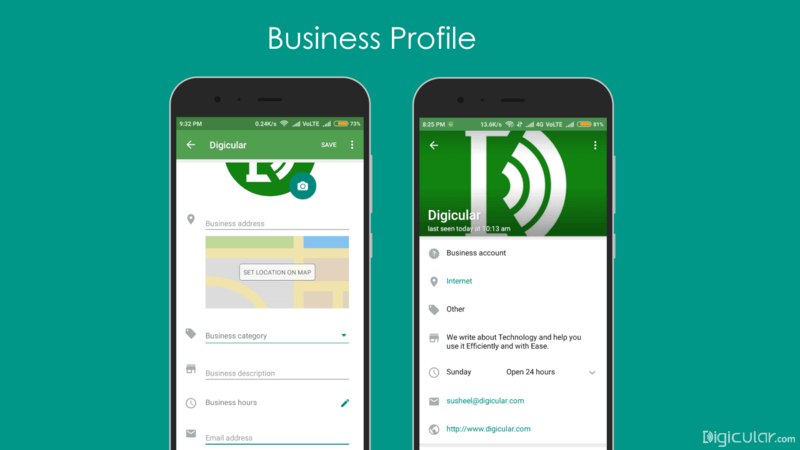 So, with the new WhatsApp Business app, you can now showcase a complete Business profile. You can add your Physical store address, Category of business, Opening hours, Email address and Website to your profile. Your customer can view all these information and directly interact with it like View your sore on map or Email you. “Hey, we are not available right now. We will get back to you ASAP ”. 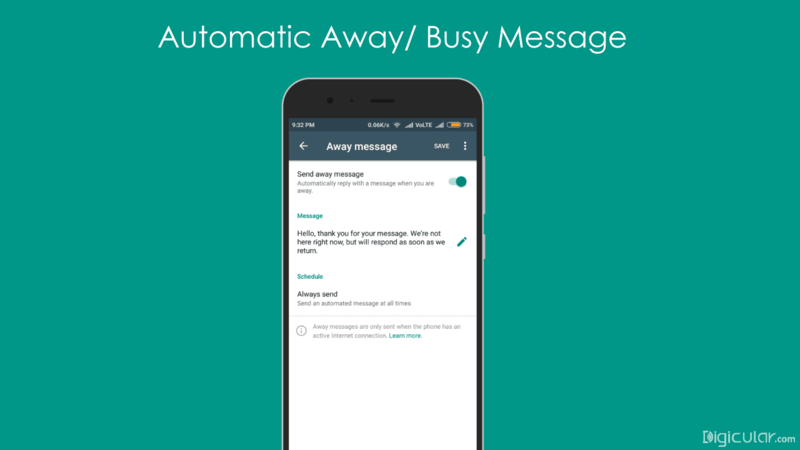 So, when someone messages you, but you are Busy or Not available to reply, the Away message you have set is automatically sent to them. You will be more likely lose a customer if you don’t respond to their messages. 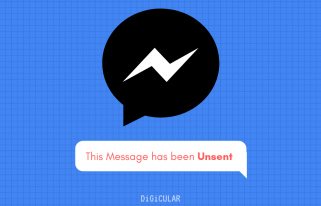 So, the Away message can avoid such things. 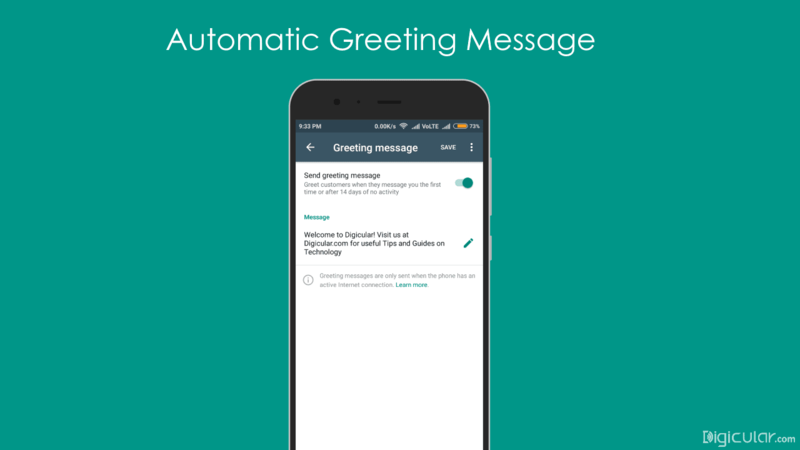 Another messaging tool and cool feature of WhatsApp business is the Greeting message. When a new customer messages you for the first time, they will automatically get a Greeting message you have set. Greeting message will also be sent after 14 days of no activity (No messages) from a customer. It acts like a Virtual Receptionist for your Business account. 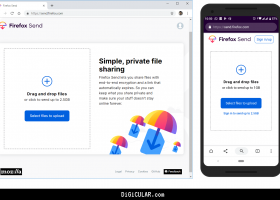 Go to Settings – Business settings – Greeting Message(Under messaging tools) and turn-on the “Send greeting message” toggle and change the default greeting message as per your choice. This one is the most productive feature of WhatsApp business app. Quick replies are the more common Replies/ answers for FAQ’s you can set and use them quickly by using a Forward slash(/) followed by Keyword. You can go add a Quick reply by going to Settings – Business settings – Quick replies (Under messaging tools) and click on “+” sign. For example, you want to set a Quick reply for Payment reminder. You just go to Quick replies settings as said above and under Message enter “Your payment is pending. So please pay ASAP” and under Shortcut enter “pay” and tap on Save. So if a customer hasn’t paid for your order, you just type “/pay” and it will show the whole message you have set earlier. You just select that message and send it instead of typing the whole message. When you are doing business, you have to organize things systematically. This is where “Labels” feature comes in handy. 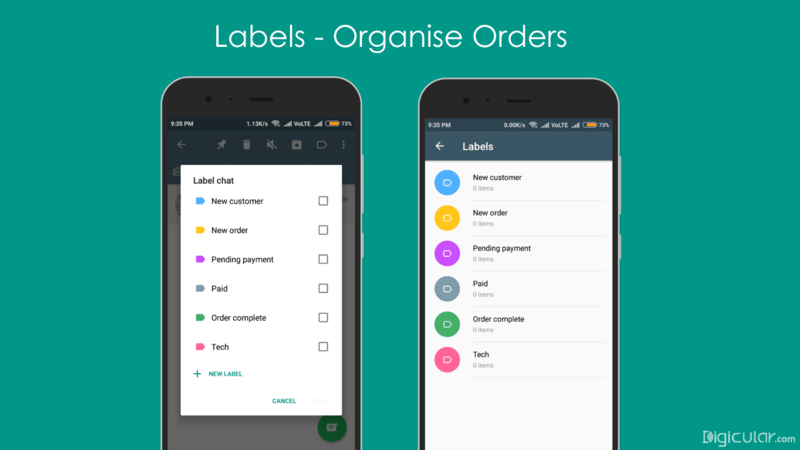 With labels, you can easily divide Customer chats into different categories like “Unpaid orders”, “New customers”, “Completed orders” and also view them by label name. So can easily see, how many more orders you have Pending and who have Paid yet. This makes it easy to track your workflow. To add Label to a chat, Tap and hold a chat and tap on Label icon on the top. Then tick one or more labels as you need and tap on Save. You can either use the default 5 labels or you can also add a new label by tapping on “+ New label”. To view chats by label, tap on Menu icon – Labels and tap on the label name. WhatsApp is already filled with spam and fake messages. So it is hard to believe someone on WhatsApp and buy something from them. 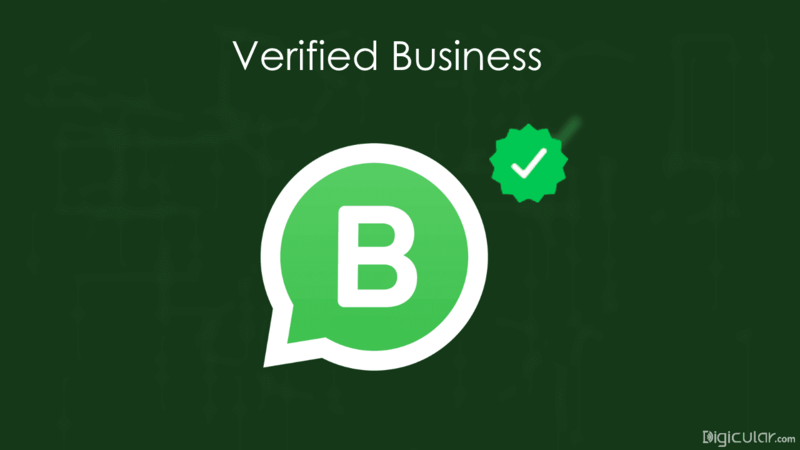 That is why WhatsApp business shows verification badge for every business profile. So when a customer views your profile, they will see a verification badge (Grey or Green tick mark) similar to verified Pages on Facebook and Twitter. Grey Tick mark – This means “Phone number of this account is matches phone number registered under this business. 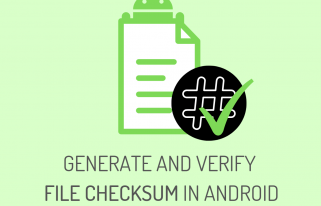 This verification process is very useful in preventing scams and build trust among your customers. Well, numbers are an important aspect of any business. 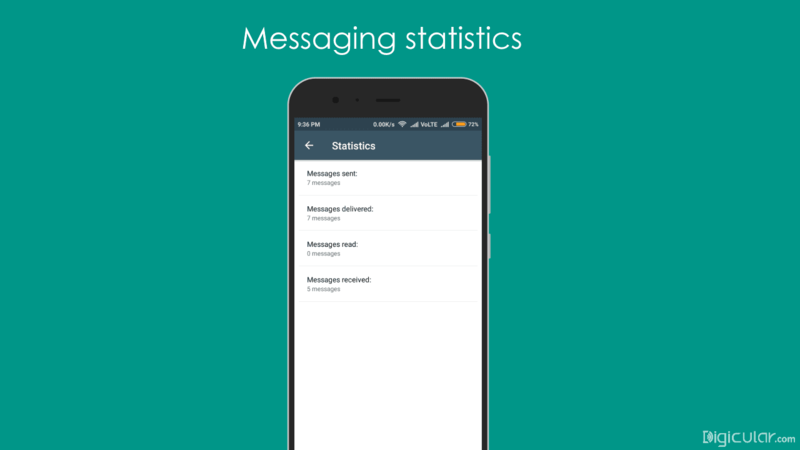 WhatsApp business allows you to view statistical data of messages. You can the number of messages Sent, Received, Delivered and Read. You can then use this data to make changes and improve the way you communicate with your customers thereby making more sales. An obvious thing to note is that if the customer disabled “Read receipts” in their privacy settings, those messages won’t be recorded under “Read” message statistics. Unlike the Regular WhatsApp, you can use a Landline phone number to register for a WhatsApp business account. Although number is necessary, so if your landline isn’t capable of messaging, you can request a call for OTP. To avoid confusion, WhatsApp mentions “Business account” on profile, so you can easily differentiate. So, enter your Business name correctly while you are registering for a business account because you cannot change it later. 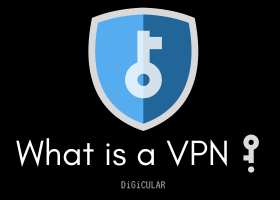 The wrong name can affect your Verification status. A known fact that WhatsApp allows only one account per a phone number. So you have to use different number for WhatsApp and WhatsApp business accounts. If the number registered in WhatsApp is business number, use the same number while registering for WhatsApp Business, the old WhatsApp will be migrated automatically to business account. 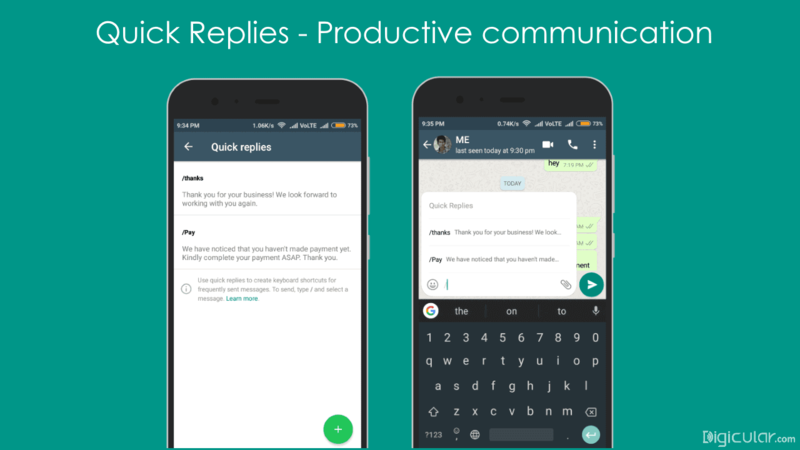 So these are some of the Best features of WhatsApp Business App. Apart from these great features, you can do all the stuff that you would do with regular WhatsApp like WhatsApp Web (To use WhatsApp on Desktop), Groups etc., and also all chats are End-to-End Encrypted. So, if you are running Small, Medium or any kind of business, look no further, upgrade to WhatsApp Business now and grow your business. 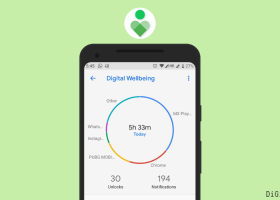 So how are using WhatsApp Business to for your Business? 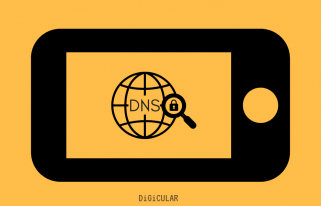 Are facing any problems with WhatsApp for Business? Post it on Digicular’s Facebook Group. Good to know Susheel. My wife downloaded WhatsApp on the phone we share during travels, to talk with our family in the US while we visit Thailand. Amazing tech, right? 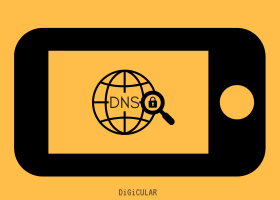 If you have an internet connection you can talk with any other WA'ers like it's cell phone to cell phone. Amazing. Yeah ofcourse, WhatsApp has been amazing Tech invented in recent past. People has been saving a lot on Calling costs. Coming to WhatsApp business, if used effectively can be very useful in growing your business.